From next month (May 2018) customers will be able to purchase Royal Dragon vodka in Hong Kong International Airport. The brand are celebrating new listings in the ‘Duty Zero by CDF’ stores for both their ‘Imperial Collection’ and the miniature ‘Elite Flavoured Collection’. 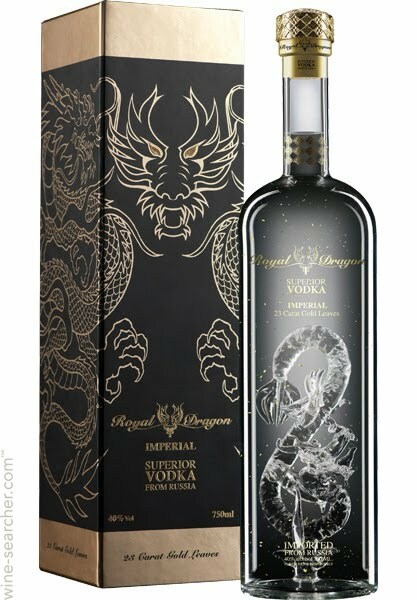 Royal Dragon vodka have marked the occasion with a limited number of 1.5l ‘Imperial Magnums’. The limited release will be available exclusively, duty free in Hong Kong International. Royal Dragon Vodka uses rye as it’s base and is of a neutral western style. For more information on Royal Dragon Vodka and their range visit - www.royaldragonvodka.com.